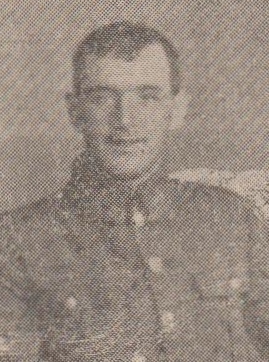 Private Tom Nuttall, of the Black Watch Regiment, whose parents reside at 457, Acre, is offically reported as missing. Prior to enlistment he worked as a spinner. News has been received that Private Tom Nuttall, of Cold Wells Cottages, Haslingden, was killed in action on July 31st 1917. Aged 24, he joined up on July 14th 1916, and went out on December 7th, 1916. He worked on munitions before joining the colours, but was previously a quarryman at Hutch Bank, Haslingden. He leaves a wife, but no children, and his name is on Haslingden Parish Church roll of honour. In loving memory of my dear husband Private Tom Nuttall who was killed in action on July 31st 1917. "They miss him most that loved him best." From his loving Wife Lizzie, Spring Side, Haslingden. None mentioned his name but with praise." From Mother and Father in law. He is with us in memories of days that have been." From his Sister in law Polly, and Frank (in Salonica), Clara and Mary. From his Sisters and Brothers in law. For I, who loved thee well. The face of him we loved so well." From his sorrowing Wife, Maggie. My aching heart and Thee." Deeply mourned by his loving wife, Lizzie, 23 King Street, Haslingden.